Most solo and small firm practitioners have heard of cloud-based management systems such as Clio, Rocket Matter, and NetDocuments. These and many more are also a part of The Florida Bar member benefits. But for lawyers who aren’t currently using any of these technologies, it can be difficult to understand why they are important. How can lawyers actually save time and money by learning to use case management, practice management, and document management softwares? Allan Mackenzie is a 25-year veteran of the legal technology world. His experience ranges from that of a former night-shift word processor to a Wall Street IT director with a specialty in litigation technology. He has helped many firms of many sizes figure out what they need in terms of practice management and case management systems. 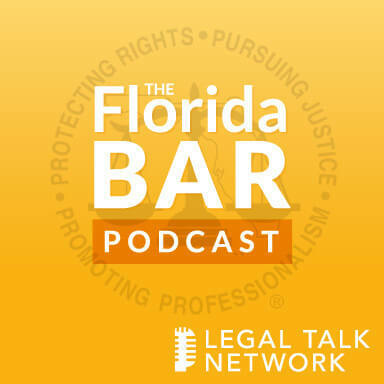 Adriana Linares: Hello and welcome to the official Florida Bar podcast, brought to you by the Practice Resource Institute on Legal Talk Network. The Practice Resource Institute is, of course, the Florida Bar’s online center for practice management information dedicated to Florida attorneys. I’m Adriana Linares and I’ll be your host today. I’m a legal technology consultant and trainer; I’ve been working in Florida and fortunate enough to be working with many members of the Florida Bar Board of Governors and staff for a couple of years and I’m very excited to have Allan Mackenzie on the show today. I’ve invited Allan to come in and talk to us about case management and practice management and document management. So hi, Allan. Allan Mackenzie: Greetings and salutations. Adriana Linares: Allan, why don’t you tell our listeners a little bit about yourself before I dive into asking you questions about case management. Allan Mackenzie: Well, being back in the consulting realm for a couple of years has been a lot of fun. But prior to this, I was an IT director of a Wall Street litigation boutique. Before that, I’ve been consulting for legal technology since about 1989 with a brief stint at Microsoft doing world wide training and training of support engineers around the globe. Adriana Linares: You go way back in the legal technology world. Allan Mackenzie: I can say that with impunity. I go back to Wang and my first job in the legal community was actually as legal secretary on an IBM Model D typewriter with carbon paper. Adriana Linares: Nobody knows what you just said. Well, when we had put together the topics for the next couple of Florida Bar podcasts, I really wanted to get some practical stuff that we knew would help a lot of attorneys and I said we should really do a good session on case management. You were the obvious choice, and that was because you spent many, many years helping law firms of all sizes. Small, midsized and large, figure out what it is that they need, whether it’s a case management, a practice management, a matter management, or a document management system or all of those. So why don’t we start with you giving us a run down. I think that you and I are usually on the same page about this that a document management system is different than a case management system that is different from a practice management system. How do you explain it when somebody asks? Allan Mackenzie: I explain it the way I explain it to law firms and lawyers of all ages that basically, the concept of case management is what lawyers do. It’s the definition of their job. You bring on a client, you record information about that client, you have to know who that client is, where they live. You have to make sure that client is not conflicted out in any special way, you need to know who the parties are in your case. You need to know the facts pertinent in your case, you need to know the deadlines. You need to know when your fees and filing requirements are due. You need to track your communications and prove that you’ve had them. You need to track the amount of time that you spent working on a case regardless of your billing methods, even in contingency fee cases. You still need to be able to present to the judge a value of the amount of time you spent working on this to collect your fees. Knowing and gathering all that information has been a sort of subtle, psychological game in most law firms for decades or even for the solo practitioner starting out, because you know you need to grab all these bits of information, but you don’t necessarily have an organized way of doing it. So when I talked to people about the software that is involved with this, I usually just bring out and put on my podium a pendaflex or a flex file or whatever you call it in your part of the country, and say if it was in here, it happened; if it was in here and you needed it, you would get it. And if you needed to fill out a form somewhere on one of the pieces inside that folder system, was the information that you needed and you had to have and you could provide it to anybody quickly. Since the advent of adding real technology beyond carbon paper to the practice of law, we’ve sort of attacked each of those pieces with a single piece of software, which in and of itself sounded like a wonderful idea. We’ve automated billing; we might have found a way to file all of our documents in a library rather than a folder system. We might have a time entry system, we might have a marketing system. We might be tracking all kinds of wonderful new leads. But the problem is as we begin to rely on the technology, we realize that the same information is very readily available at certain people’s fingertips, but only in the systems that they’re using. The deeper we got into technology, the bigger the holes you could drive a Mac truck through in terms of liability we had, because nobody knew where the most recent and up to date information was or is. Adriana Linares: So practice management programs came along – many years ago, actually, it’s not as if they’re new. I can think back to when I started fifteen years ago and I was at a big firm. So really, we could talk about this for a minute too, because depending on the size of your firm, there is no firm size from solo to kingdom that can’t make use and benefit of a practice management or case management system. Adriana Linares: Yes, I was a wee, tiny, tiny baby when that was happening. So let’s talk just for a second though, let’s break down a litigation support system versus a case management versus a practice management. I’ll say what I think and lawyers ask me what should I go look for, because there can certainly be some interchange. But basically, it’s very simple. If you’re managing all of the things you mentioned earlier, parties, deadlines, dates, conversations, communications, and you’re talking about a matter of a case, I call that a case management system. If we’re talking about practice, business related stuff, time, billing, reports, ledgers, IOLTA, that sort of stuff, I call those practice management systems. Then if we’re talking about a document management system, that’s where I would put millions of documents with tens of thousands or even thousands of documents into a system that allows me to quickly store, search for, retrieve, file, or find a set of documents that meet a certain search criteria or they’re all part of a specific matter. And then there are litigation support programs that help you really prepare documents, movies, files, pictures, emails, text messages for trial. So if I were to break them up into categories, there would be four. But there’s a lot of crossover and a lot of mixed; you can get one here or one there. Is there anything that does it all out there in the world? Allan Mackenzie: Not quite, and the huge dividing line has to do with the litigation side of things. When you talk about discovery or evidence, that’s not what I would categorize as work product. The things you do in the preparation of your case is one thing. The evidence that’s provided to you is another, and there are all kinds of legal hoops that you have to jump through in terms of chain of custody. So I’d actually like to suggest that for the purposes of this discussion, we talk about the practice management and the case management side of things, which incorporates billing and document management and all the day to day stuff. And as you and I will know, the field of litigation support is now an industry up to itself. Adriana Linares: It’s a beast. Allan Mackenzie: It’s a beast. So let’s just agree to set that to the side for the rest of the discussion. Adriana Linares: We’ll do that on another day. So here’s what I have to ask you. Our listeners are out there and they’re saying, I hear all these people tell me all the time I need a case management system. I’m a solo, or I’m a five person firm, or we’re a twenty person firm. What case management options do I have and does that mean I’m going to have to buy a server and I’m going to have to have my IT guy install a bunch of hardware and then I’ve got to keep the maintenance up on it and we live in Florida and we get a hurricane. How much overhead is this going to add ontop of labor and support? Allan Mackenzie: Alright, so here’s the deal. I call this lofty aspirations but Cloud aversion. Yeah, it’s a lot. So the idea behind the pieces of software that management it – and we’ll get into the details of how this goes about has historically been an in house thing and a massive investment and it was always the big shots that had it. How long did it take before the firm you used to work for get actual document management and how many zeros did it take to invest in it? One whole heck of a lot. So these were the toys for the big boys. But on the other hand, if you were to go back to the idea of the paper file, there was a time when he attorney was at least protected in that if a judge said give me everything you’ve got, you could do it. Why a case management system is important to everybody and why it’s even more important now has todo with the fact that we do most of our things electronically. Whether you’re big or small, you need to be able to find everything involving a case that’s in an electronic form, albeit without the discovery, in one easy place. So let me give you the perfect example: we know what document management system is and it files your documents and it codifies them, kind of like you do with folders, whether you did it on a C drive or whether you did it with actual folders. So there’s this thing that represents the entire case and it’s broken down into correspondence and pleadings and memos and briefs, and the paper forms, the bills. If anybody said come here and give me, you could. But now, if we have a firm of more than one person, any one person, even just a legal secretary, we now have two different storage places for the primary method of communication, and that’s in email. So you have to find some way to blend this and pull all of this information together. Otherwise, if somebody said – as they said to one of my clients once – give me all the emails of your case, and there had been 80 people working on that case for ten years, there were 80 different email accounts and they said do one of your famous electronic searches. Even if I could help you put all of the email from ten years back on the server – which wouldn’t fit – the fact that it was about a case; give me a word or a single word or any group of words that I could search the hundreds of thousands, in this case millions, of emails that identified the emails from that case. I couldn’t. We had to pay – rather, my client had to pay, thank god it wasn’t me – six figures large to set up a system that dumped all the emails to it and hire forty, count them, forty attorneys because only an attorney can decide whether or not something is responsive to the request and go through every email the firm ever had. Allan Mackenzie: Yes. So this is why you have to have it. Now how you can have it is magical today, because people talk about the Cloud and I mentioned the aversion of it. The thing is that the biggest arguments I hear about having any piece of software based in the Cloud is oh, it’s a security risk. But when you contrast that to how much a firm like Rocket Matter or Clio or NetDocuments spend on the security aspect and the backup aspect of it, it will put any of your own law firms to shame. You’re as secure as your IT department’s firewall or your security guard, if you have one, for the building, letting the guy with the black glasses in. I could walk into firms that I’ve known for ten years and I still know what the passwords are because they’re partners. So the problem is we still have to gather all this electronic information together and be able to press a button to both find it and produce it. And at the same point, we’re wasting a whole lot of money on duplication of effort. So if I could ramble on on this topic for one more fit example of this, one of the biggest holes that there is in most law firms that have just been ignored is the idea of a decent conflict check. All that boils down to is who has the contact card. Adriana Linares: Or who remembers, forget the contact card. Allan Mackenzie: I’d say a good 60% of the law firms that I service, even the ones that are beyond 300 people, the chief conflict check method is to send emails and say does anybody recognize this name. But likes take an active case. You’ve got a divorce happening right now and you’ve met with your client and the client is half of a couple and suddenly sends an email or gives a telephone to the firm that says, “I’ve decided to go ahead with this, I’ve moved out. Here is my new address, send all the email there or send physical there,” and what happens? Well, the person on the phone is the one who takes that information down. Do they put that on their own contact card in Outlook? Did they tell the billing software about this? Is it in the marketing software? Who has the latest contact? And if it isn’t centralized, then it’s a disaster waiting to happen. Adriana Linares: That’s definitely one of the biggest problems. I was just yesterday in a law firm doing some interviews, sort of a loose technology audit. It’s a typical firm that has three older attorneys and two younger attorneys. The two younger attorneys are actually the children of two of the older attorneys. So when one of them came in – one of the parents and this is the lawyer – the first one came in and said, “Look, I’m not interested in any of this stuff,” and I said, “Okay, well then I’m not interested in you. So we’ll put something in but you’re not going to use any of it if you’re not going to be interested in it.” He said, “No, I’m getting ready to retire .But the only reason why we’re doing this is for the kids.” But then the next one came in and she said, “Our biggest problem is our contacts. Everybody has their own set of Excel spreadsheets. It’s always different. We’re constantly searching for the right information. And I’m getting ready to retire too, but I’m not leaving this firm until this place is right for the kids.” It was really sweet and it was great, but the biggest complaint that everyone had was number one, just good contact management. That reflects on how well you’re going to be able to manage those matters and those cases. Allan Mackenzie: Exactly. And the idea of having a contact card just by itself doesn’t fly because you need to know how that contact card relates to a matter or multiple matters. We could find out the hard way a law firm can. By golly, Adriana Linares is mentioned in something somebody wants to do a lawsuit on, but it also turns out that Adriana Linares is the beneficiary of her grandmother’s will, and we handled that. How do you know that unless you go in and dig in the records and actually read all of the filings that have gone on in the case? So where a case management system comes in is more than just having the contacts. Remember the years of trying to get your case management contact list to merge into everybody else’s private Outlook? Adriana Linares: It was ugly. Allan Mackenzie: It was terrible! Adriana Linares: I feel this is the golden age of web-based case management systems. They are easy, they’re not expensive, they don’t require a huge learning curve, they don’t require IT support really outside of what you get with your subscription for the most part. And you mentioned three of them. I’m glad you picked those specific three that you mentioned. I don’t know if you even noticed, but those three, you mentioned Rocket Matter, you mentioned Clio, and you mentioned NetDocuments. All three of those are Florida Bar member benefits. So whatever low price they already are at a monthly subscription rate per user, there’s an extra benefit and a little discount that all of them give to Florida Bar members. So let’s talk about Rocket Matter and Clio. Those are pretty similar, one probably has better features than the other, but let’s just talk about programs like that in a broad discussion. They bring that contact management, they bring the conflict checking. What are a couple of the other four or five main benefits to taking a look at some of these new Cloud based all in one practice management programs? Allan Mackenzie: They do a lot of different things, and they blend what we used to call frontend and backend. But let’s first talk about just the overall efficiency of them. Somebody might say that a fee of $40 a month was – just to throw that out there – to users was, “Dear heavens!” But when you look at the initial investment of a software where the first license of time matters in in-house competitor, but it used to be like $1,200 and then it was $600 a person for the license and you buy that and lock into that. But then, you never, ever took into account the total cost of ownership because then you also had to buy the server, the licensing of the server, back up the server, and take that tape somewhere else and hire the person to do it. You’re relieving yourself of all that, which means – especially for a solo practitioner – this is the big boy’s tools for less than your cell phone bill. So what does it give you? Well, it does give you a single contact card. But the joy of that is that if you have a single contact card for, let’s say, Allan Mackenzie and Mackenzie consulting, then that contact card can touch each matter. I can be the client on one matter, but I can also be used as the expert witness on another. You update my address in the one contact card and all the matters know about that. Adriana Linares: And all the users that are a part of that account matter. Adriana Linares: Whatever the default email program is. Adriana Linares: You can customize those, so to speak. Allan Mackenzie: Exactly. And then you can also turn around – and this is the glorious part – is all those lovely templates. You know my personal pulpit, I carry a soapbox with me wherever I go, premade documents with holes in them. Well, with the case management system, you can press a button and those holes will be filled in with the latest information you have right in the screen right in front of you. So not only can you look it up, but you don’t have to do this copy and paste business. Adriana Linares: And you don’t have to dupe and revise, which we all know is a huge risk when we’re taking old documents and using them for new clients or new matters. There’s always a risk that you’re bringing in metadata or not even metadata, you just forgot to change one name one one page or one amount. Allan Mackenzie: Exactly, the he versus she problem. And or again, you’ve got the old address that just hasn’t been updated. So that’s one aspect of it. The next part of it is that all of the normal features that you would use in Outlook or GMail or whatever calendaring system you’ll use, you can create your own calendar entries, but you touch them to the matter. And therefore, another thing that is required of any law firm, whether it be one person, two people or more, is the concept of a docket. What is the firm responsible for doing today? And if you try to look at individual calendars, you can’t always call that. But if you link that one appointment entry or that trial appearance or due date to a case, you can produce a list of what the firm is required to do today. And if one of those parents decides to take that retirement day a day early, the firm still knows that somebody has to make an appearance in court today. Adriana Linares: That’s amazing. So let’s recap real quick. Sounds like in a modern case management program, that shouldn’t be very expensive and you can get web-based, which we like, because security has long been vetted; ethical issues have been discussed to the hilt, and the Florida Bar and ethical opinions, everything has already come out. As long as you’re doing your due diligence and you understand what you’re using and you’ve vetted the company, it’s okay to use this stuff, right? So we know that web-based case management programs are fine and good for lawyers to use. We know that they have better security, probably better than the average law firm can muster up with all sorts of money and resources and hardware and software. I thin kthe biggest issue that I usually see there is poor passwords. So we’ve got good security, we’ve got web-based access from everywhere, probably on any device. I’d imagine most of them have mobile versions, right? Adriana Linares: To this client and matter number. Allan Mackenzie: Or the rate for that matter, or the rate for the client. Adriana Linares: For that client. Right, very good. Adriana Linares: Or just knowing what the most profitable types of cases are. Adriana Linares: Technology competence. Florida’s about to do the same thing. Allan Mackenzie: Exactly. You are responsible, because if you’re going to bother to send somebody an email, you darn well better know what the risks are of attaching a document to it. And I’ve worked in several states where I’ve worked with some pretty petrified attorneys – bless their hearts – who suddenly can no longer walk a piece of paper over to the courthouse because they’re no longer allowed to do that anymore. That’s a shock. Adriana Linares: That’s a shocker. So let’s see. We’ve got time, billing, calendaring, contact management. We’ve got document assembly. What else am I forgetting? Adriana Linares: That’s amazing. You know, that’s one of the things I really like about these modern web-based – and not for this particular point I’m going to make, they have to be web-based, but they’re very flexible in the point I’m about to make, and that is if the product you’re looking at doesn’t do this one little thing that you wish it did, they’ve probably partnered with a company that specializes in that one aspect, like Client Intake, for example. So what I’m trying to say is I hope that our listeners have learned a lot about some of the basics and the importance of case management programs and really take a few minutes to especially go out to the Florida Bar benefits page for members – well, I guess that’s what the Florida Bar member benefits page does – and take a look at some of the great options that the member benefits committee has vetted and put out there. And if it looks like that one you think you might like doesn’t do something, take a look at their partner page and their add-on page. Allan, a couple of quick questions before I let you go. Let’s say I’m a lawyer and I go out and I do that and I pick product A and I’m not really sure that I’m going to like it. Am I stuck at that point? Have I invested a lot of time and energy and effort? How easy is it for me to decide to use a different tool or look up a different tool or move my data from one place or another. What kind of advice can you give in case someone’s afraid of committing to a product? Allan Mackenzie: Is this the part I get to wave my own flag shamelessly? Adriana Linares: Well, I think we can say that it’s not really trapped. Your data’s not trapped. Allan Mackenzie: No, your data’s not trapped. So in essence, this is a large part of my own personal practice is helping people try these things out. Many of the packages will give you trial periods and if you take full advantage of that and put in an example case or two, you can get the ideas and comfort levels on it. If you have information, if you’re an existing law firm and you’re not starting from scratch, it is wise to talk about the sort of systems you have, whether they be folder based or whether you have a timekeeping system or billing system to work out whether you can export how well and how much. And I’ve got to say it, the consultants that are out there, like you, for instance, are worth their weight in gold in terms of experience, having already done most of this. And whether something can be exported from an Excel spreadsheet or to an Excel spreadsheet and rearranged and reimported, data is data. You and I know that once we got into the world of copy and paste, we will never turn back. And I will say, if there’s one rule of thumb, if you think that you have to re-enter any information, you’re not thinking about it correctly and you need to get some advice. Adriana Linares: I think that’s a great end to a very good discussion about the importance of case management. I really encourage our listeners to go and take a look if you aren’t using anything, and there are still so many lawyers and firms of all sizes that haven’t really taken a good look at what the options are today, how easy they are to use, how inexpensive they are. If you need some help, you can hire a consultant. If you’re just going to start from scratch, you probably don’t really need a consultant. Those companies are really going to help you get started and they have training videos and they have support systems. It’s not as scary as it seems. So, Allan, before I let you go, I want to make sure our listeners have a chance to learn more about you, look you up on the internet, get a hold of you if they’d like to learn more about your services. Allan Mackenzie: Yes, absolutely, the easiest thing to do in the world. Just remember Efficient.Legal, that’s us. You can look us up online, we’re also under the same name on LinkedIn and you can see all of our friends, the fact that you and I talk regularly. And the biggest deal of all is that none of us want to be categorized in the stereotypical concept of a used car salesman. We’re not out here to do this. You and I and all of our colleagues that I know are just passionate about making the business of law work for you in this changing and tighter, and tighter environment, and making it easy and quick. If you want, I’m happy, as you know, to get on the phone with anybody and tell them stories of spin-off groups that I’ve had where I’ve taken three people and they’ve been able to do the work of 40 people in their previous firm. Adriana Linares: It’s amazing, the things that technology can help us do. Well, Allan, I can’t thank you enough for taking some time out of your very busy day. And I want to remind our listeners that, of course, if they want to learn more about the things we’ve talked about, they can visit the official Florida Bar Podcast on the PRI section of the Florida Bar website. And of course, be sure to check out Legal Talk Network and some of the other podcasts you might find out there. They’re on iTunes, RSS, Twitter and Facebook. That brings us to the end of our show. I’m Adriana Linares, thank you for listening. Join us next time for another great episode of the Florida Bar Podcast.